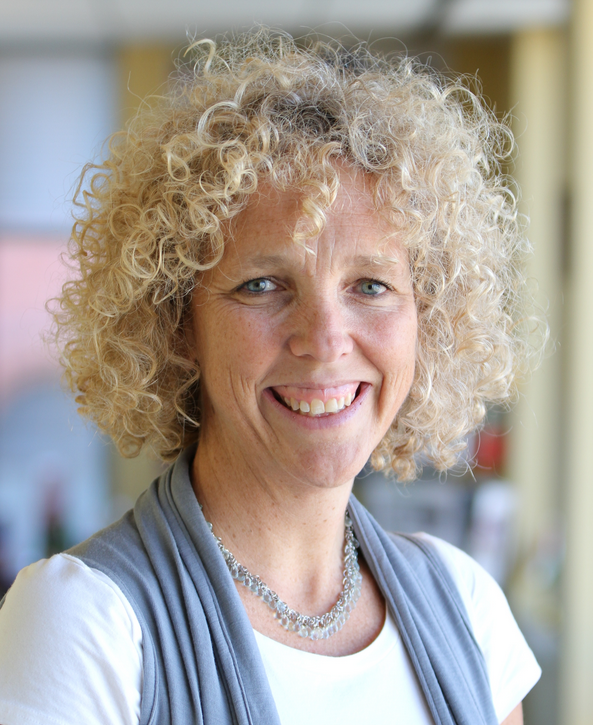 Home > Blog > Q&A with Jennifer Morgan: How Do We Secure a Strong, International Climate Agreement by 2015? Q&A with Jennifer Morgan: How Do We Secure a Strong, International Climate Agreement by 2015? As climate change impacts like heat waves, increased precipitation, and sea level rise continue to reverberate around the world, the need for action has never been clearer. Reducing greenhouse gas emissions and transitioning to a low-carbon economy will require a global effort. Many are looking to the United Nations Framework Convention on Climate Change (UNFCCC), an international treaty to avoid dangerous global warming, to deliver the progress we need. On that front, the next few years will be critical. Under the UNFCCC, countries around the world committed to produce an international climate action agreement. This agreement will be finalized at the annual Conference of the Parties, meeting in Paris in 2015 (COP 21). How UNFCCC negotiations progress between now and then will in part determine whether the world curbs climate change—or feels its worsening effects. I caught up with Jennifer Morgan, director of WRI’s Climate and Energy programs, to discuss what’s at stake and what steps are needed between now and 2015 to ensure a strong, international climate action plan. 1) The U.N. has held international climate change negotiations (Conferences of the Parties, or COPs) annually for the past two decades. Why is COP 21 in 2015 such an important meeting? At the 2011 COP in Durban, South Africa, countries under the UNFCCC agreed to establish a binding international climate action agreement. That negotiation is scheduled to be completed in 2015 at COP 21 in Paris. This meeting is important because whatever agreement is established will act as a blueprint and catalyst for future international climate action. But beyond that, COP 21 comes at a particularly important time in history. The impacts of climate change are occurring faster than many scientists had projected—we’re seeing them in the form of sea level rise, heat waves, and other damaging extreme weather events. The International Panel on Climate Change (IPCC) recently stated—yet again—that climate change is human-driven, and that we only have a short window of time to respond as a global community. Collective action is key. The one place where that collective action can truly occur is in the United Nations, where all countries are represented. Jennifer Morgan is the director of WRI's Climate and Energy program. 2) One of the goals of the UNFCCC is limiting global temperature rise to 2 degrees C above pre-industrial levels. Why is this target important? This target is important for two reasons: The first is because with every degree of warming, the impacts of climate change become increasingly severe. For example, according to the World Bank, forest fires in the Amazon will nearly double by 2050 in a 2-degree-warmer world. It is also important because it sends a signal as to what kind of global economy we need to build to stay below two degrees. According to experts, we need to achieve a net phase-out GHGs to zero by 2050 if we want to have a high probability of staying below 2 degrees. This is the kind of clear direction business and investors understand. 3) Best-case scenario: What will the 2015 international climate agreement do? The best-case scenario is that heads of state will understand the clear need for and agree to a plan where all countries will, in a fair fashion, reduce their emissions enough to stay well within the 2-degree target. This would send a clear signal for action to lawmakers, businesspeople, investors, and the public. It would inspire greater confidence among low-carbon investors and lower confidence among high-carbon investors. This will require an ambitious agreement that can last over a long period and provide a mechanism to ratchet up commitments regularly. Specifically, a strong agreement would secure ambitious and equitable commitments from countries so that they will move away from heavily polluting fuels such as coal and move quickly towards renewable energy. It will be especially important to get these commitments from major economies such as the United States, Europe, China, and Brazil. The agreement will also need to provide clarity regarding each country’s national emissions-reduction plan, so as to build confidence around the world that decisions are being made to shift quickly to a different economic pathway. It also needs to deal with the fact that the impacts of climate change are already occurring, and the most vulnerable countries do not have the capacity to adapt. The agreement, therefore, will need to deliver sufficient public and private financing to support developing countries—particularly the poorest—in adapting to climate impacts and transitioning to lower-carbon pathways. 4) What will happen if we don’t get an agreement in place by 2015? Time is running out. Based on IPCC findings, WRI has calculated that the world is burning through its carbon budget so quickly that we will lock in 2 degrees of temperature rise in the next 30 years unless we change course now. The differences between managing a 2 degrees C increase and a 4 degrees C increase—which the World Bank predicts is possible by the 2060s if current mitigation commitments are not met—are massive. Just two small degrees means either survival or complete devastation for some countries. Things many today take for granted, like food security, will become a common challenge. Several types of extreme weather events that are happening on a less regular basis will become the "new normal." We don’t want to imagine this world, but I think we have to in order to understand that we have to make choices now—quickly—to avoid it. 5) We still have two years to go until COP 21. What big things need to happen between now and then to achieve a desirable outcome? Leaders around the world need to truly understand the risks they are facing and make clear choices for change. Climate change impacts entire countries and their relations to each other, so heads of state are the natural decision-makers on this issue. Each needs to understand what is at stake for his or her country, and then rise above the current national political discourse and make strategic choices for the future. There is a tremendous amount of action happening on the ground by people who have understood what is at stake and are acting as best they can to respond. These voices often get drowned out by the industries that want to keep the status quo because it is profitable for them. Clearly the leaders of the largest economies – the United States, Europe, China, Japan, Brazil, and India – will be in the spotlight. What they each decide—individually and collectively—will have a massive impact on the lives of people around the world. 6) What about COP 19 in Warsaw, which begins next week? What goals must this COP achieve to set the stage for COP 20 and COP 21? The 2015 agreement will not just come out of one meeting in 2015. It will come out of many preparatory rounds of negotiations that work through the key issues. Warsaw, in that sense, is more of a “working COP” – to get the steps in place over the next two years to succeed in Paris. However, it needs to also be an “action COP,” where new initiatives and commitments are brought forward to reduce emissions now—rather than waiting for 2015 and beyond. For example, the Alliance of Small Island States (AOSIS) has tabled a proposal for cooperative action on renewable energy and energy efficiency. Countries should not wait to take action on these types of initiatives until a new agreement is resolved. 7) We’ve seen ebbs and flows when it comes to momentum on climate action. For example, COP 15 in Copenhagen was expected to produce an international climate agreement, but was largely viewed as a disappointment. Are there signs that things will be different this time around? The Copenhagen meeting was disappointing in many ways, but it did push heads-of-state to engage in decision-making and generate national commitments that were previously unthinkable. But we need to do better this time—and there’s more momentum to do so. There are many examples of countries making strides towards a low-carbon economy—and reaping significant benefits. Germany’s clean energy sector, for example, grew by 122 percent since 2004, creating an industry that supports nearly 380,000 jobs. The price of clean energy has dropped dramatically, and renewables are now the fastest-growing power generation sector in the world. And unfortunately, the impacts of climate change are being felt. These impacts can be powerful motivators for action. It is important for decision-makers and the public this time to really link those national and local realities with the international agreement, and use this agreement to drive change. The agreement should assist those working on the ground to shift to a low-carbon economy. It should provide the support for people dealing with the impacts of climate change in their own communities. We have an opportunity to make the agreement much more linked to the real economy and the national debates around the world. We need to grasp that. 8) An international climate agreement has clear environmental benefits. But what about the economic and social impacts? If we don’t reduce emissions smartly now, we will have to reduce by significant annual amounts later, which is more expensive to do. This was one of the main findings of the latest UNEP Gap Report. We’ll also deal with increasingly costly and damaging impacts. Last year, for example, the United States alone saw 11 extreme weather events that each caused more than $1 billion in damages. If the world jumps together, it can manage together – and even benefit from the opportunities at hand. We have already seen these benefits happening on a smaller scale with renewables. Germany, for example, invested in renewable energy to drive technology development. It’s seen significant benefits in terms of hundreds of thousands of new jobs, decreased emissions, and reduced energy consumption. China produced renewable energy at scale and drove down prices. People everywhere benefit from switching from coal to clean energy—just look at the coal-induced air pollution that places like China are experiencing right now. If we delay climate action, we could miss out on many of the economic and social opportunities. 9) I understand that all countries—both developing and developed—must come forward with emissions-reductions plans. But is leadership from particular countries especially important? It is clear that there are a handful of countries that are deeply relevant to tackling this problem, due to their size and their resource base. Certainly the two largest emitters today – China and the United States—are key players. Both are starting to move. China is implementing a whole suite of policies to reduce its dependence on coal and embrace clean energy, including piloting a regional cap-and-trade program. The United States recently announced a Climate Action Plan, and is in the process of introducing standards to reduce GHGs in the power sector. But they both need to go farther faster to show they are taking serious action to de-carbonize their economies. Europe has historically been a leader on climate change and continues to act, but a new spirit is needed. Hopefully Chancellor Merkel, a physicist and former environment minister, will re-engage and empower Europe to lead the way to the low-carbon economy. Brazil’s role in the world has also shifted. I expect many will be looking to President Dilma for a path forward that includes sustainable, inclusive livelihoods for Brazilians. 10) Is 2015 an end goal, or a starting point? It should be a turning point. This should be the year when the world’s leaders finally take this bull by the horns and show they deeply understand the risks and are ready to deal with them. Once that turning point happens, then hopefully change can occur at the necessary scale. It is important to understand that the 2015 agreement is one key tool in the toolbox to move the world towards a low-carbon economy. What countries do at the national level and through international initiatives like “low-carbon clubs” are also important. But the 2015 agreement is a critical opportunity: It is a chance for collective action to address the most pressing issue of our time. LEARN MORE: Check out WRI's COP 19 webpage for additional resources.